Styled with irwin bodysuit . 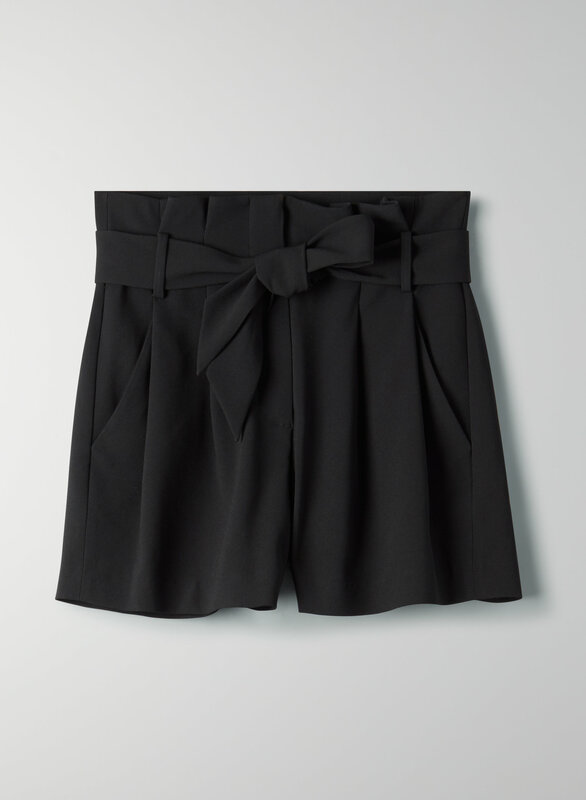 This short has a high, paper-bag waist with a self-tie belt. It's made from Terado™, a Japanese fabric that's matte crepe on one side and satin on the other.